StumbleUpon is a sleeping giant of a social network, based entirely on finding new things and recommending those things to your friends. While you never hear much about the service, its impact can sometimes be astronomical for long-term traffic to content. Staying true to its roots of content discovery, StumbleUpon Video has just rolled out some new channels and improved its social features as well. With the new StumbleUpon Video, we’re bringing serendipity to channel surfing, giving people an alternative to television that is more interactive, diverse and personalized. 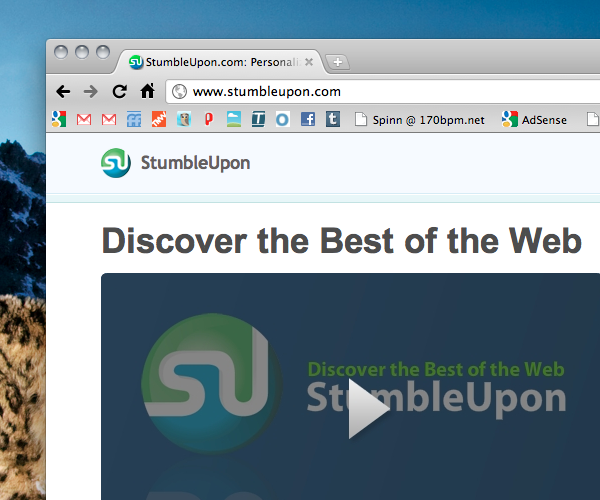 If you’re familiar with StumbleUpon, the Video interface will look really familiar to you. What’s changed, however, is the more social aspect of StumbleUpon Video and improved content sourcing. Now you’ll be able to view content from numerous sources, including YouTube, Hulu, Vimeo, CollegeHumor and TED. Are you stumbling? If so, make sure to follow TheNextWeb and find out about the stuff that we love that doesn’t make it onto the site.